The 2017 Chateau Coupe Roses, Bastide, Minervois is a fine wine to include amongst your weekly rotation. Like the previous vintage, the 2017 is a bright, honest wine. It is the type of wine we like to drink when we return home late after our daughter’s soccer practice. Grab a case at MacArthur Beverages. Imported by Vintage ’59 Imports. This wine is a blend of 48% Carignan, 46% Grenache, and 6% Syrah. Alcohol 13.5%. Carignan on the nose. In the mouth black fruit and pastilles are immediately evident as is the powdery texture. 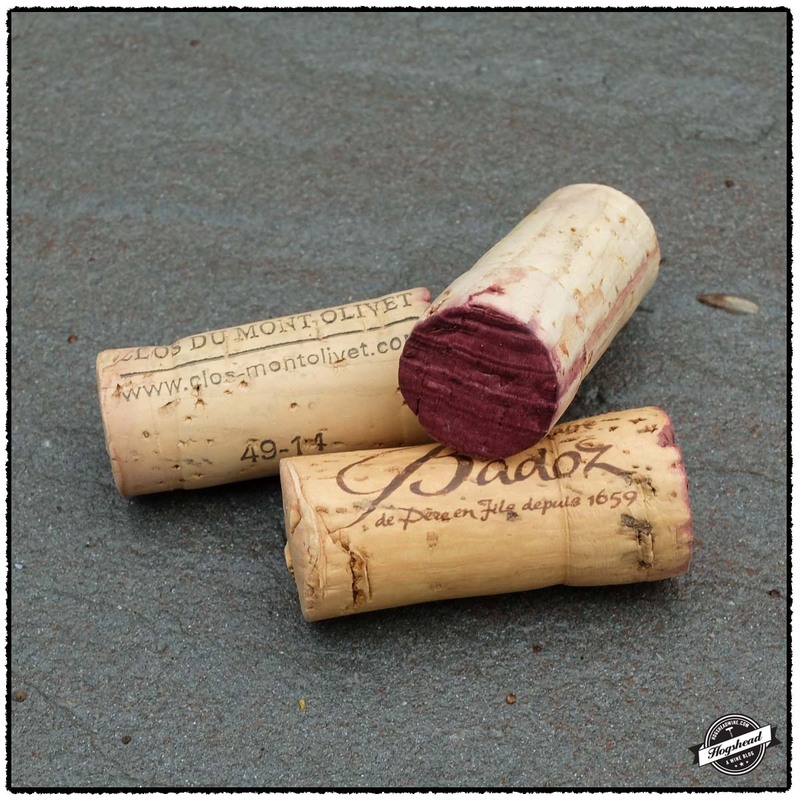 The flavors become brighter through the finish where tannins and juicy acidity is evident. This medium bodied wine becomes lifted with air, showing deep, red raspberry fruit and citrus over its structure. There is even a touch of blue fruit and fat. It might open up over the winter. **(*) Now – 2023. I have opened up previous vintages of both of these wines to a rather large extent so I am excited to try the latest offerings. The 2015 Chateau du Caladroy, Cuvee Les Schistes, Cotes du Roussillon Villages is a fine value. It lives up to the name of the cuvee by offering clean black fruit flavors mixed with the notion of stones. As it is about the fruit and not structure I would drink it within the next few years. 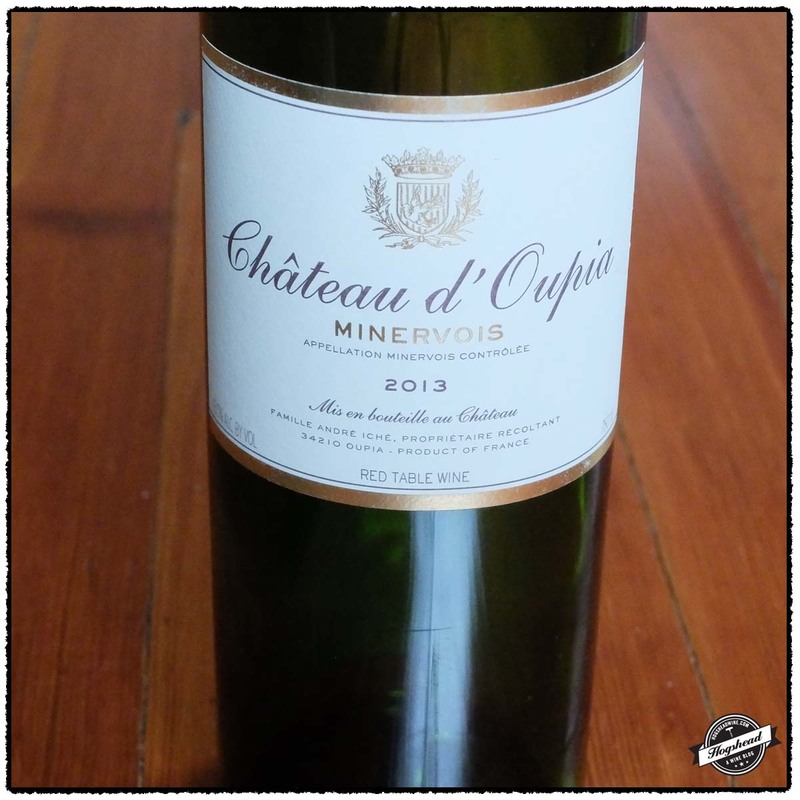 The 2016 Chateau Coupe-Roses, Bastide, Minervois is a cleaner, not earthy version, of the 2015 vintage. I admit to missing the deep tone and weight of the previous vintage but at $13 this pure and elegant wine is a good value. These two wines are available at MacArthur Beverages. Imported by Vintage ’59 Imports. This wine is a blend of Syrah, Carignan, Grenache, and Mourvedre largely raised in tank. Alcohol 13.5%. The interesting color is a medium black-cherry with hints of purple. In the mouth are stone notes followed by firm yet juicy flavors of perfumed black fruit. There is a tart start with watering acidity. The flavors have some weight which lends suppleness to the all mineral and black fruit. The finish is a touch dry followed by a sense of ripeness in the ethereal aftertaste. *** Now – 2020. Imported by Vintage ’59 Imports. This wine is a blend of 48% Carignan, 46% Grenache, and 6% Syrah. Alcohol 13.5%. The fresh acidity brings balanced flavors of black fruit and minerals. 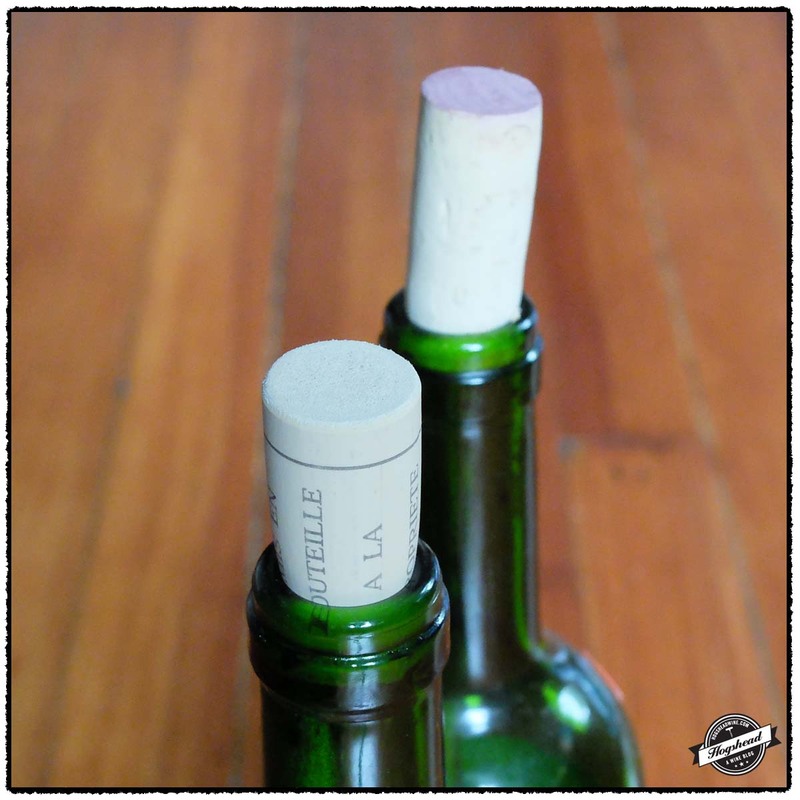 What starts as a powdery texture becomes juicy by the middle with a slightly spicy, mineral finish and aftertaste. The purity of the flavors come out with additional air. **(*) 2018-2020. 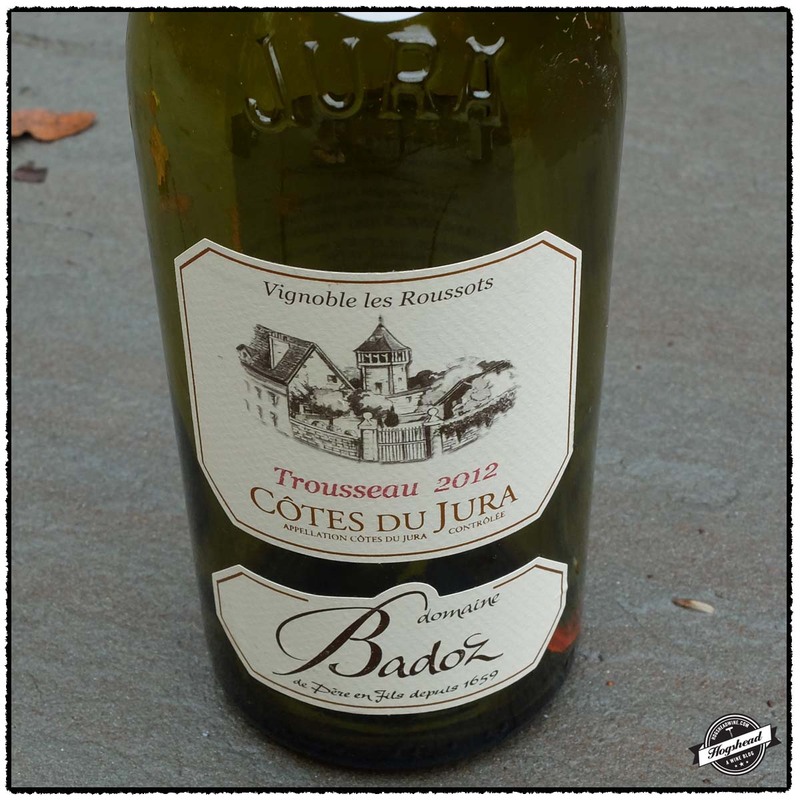 Four red wines from the Jura, Languedoc, and Rhone. 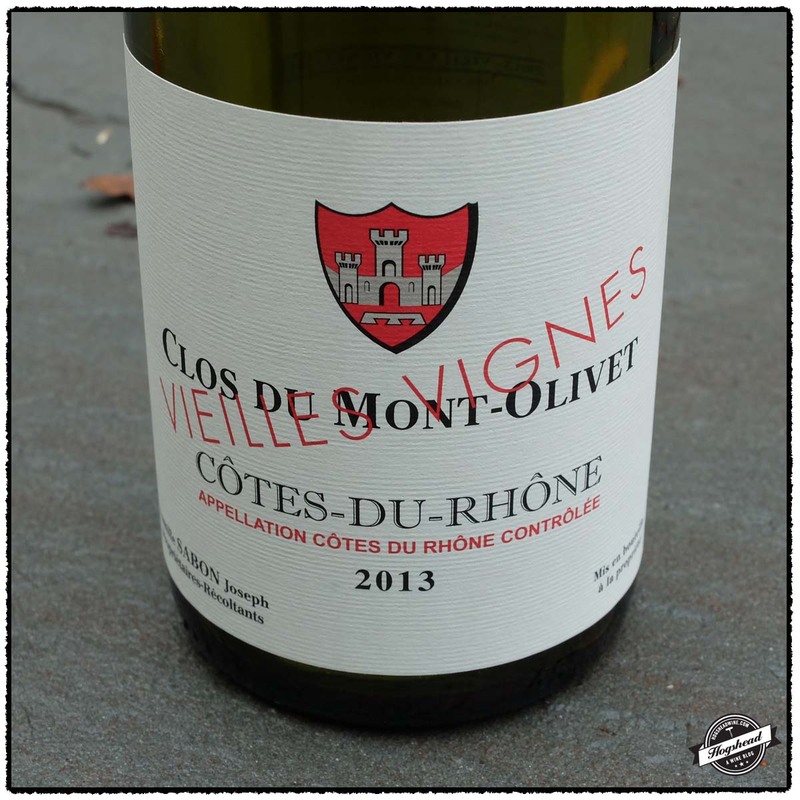 Of the four wines featured in today’s post I highly recommend you first try the 2013 Clos de Mont-Olivet, Vieilles Vignes, Cotes du Rhone and the 2012 Domaine Badoz, Trousseau, Cotes du Jura. The former is an excellent Cotes du Rhone value that will drink well and modestly develop over the next few years. The later is yet another reason to drink more Trousseau. It is best drunk on the first night when the fruit is more outgoing. Lovely stuff! I suspect Jenn and I have consumed the majority of the Old-School Minervois stocks in the DC region. 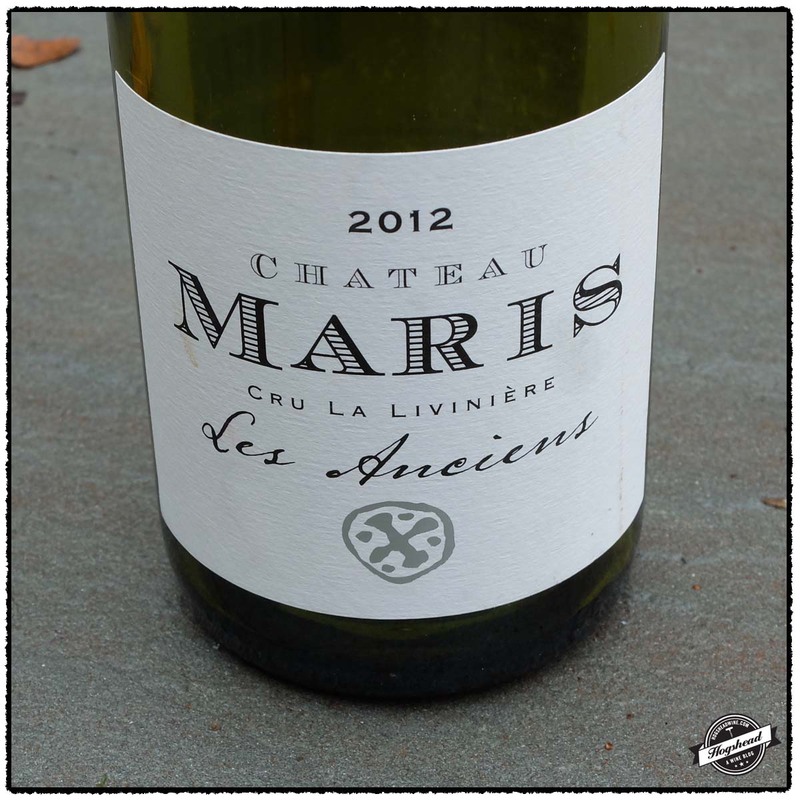 From the same producer you may now try the 2012 Chateau Maris, Les Anciens, Minervois La Liviniere which offers up a very good, elegant example of Carignan. 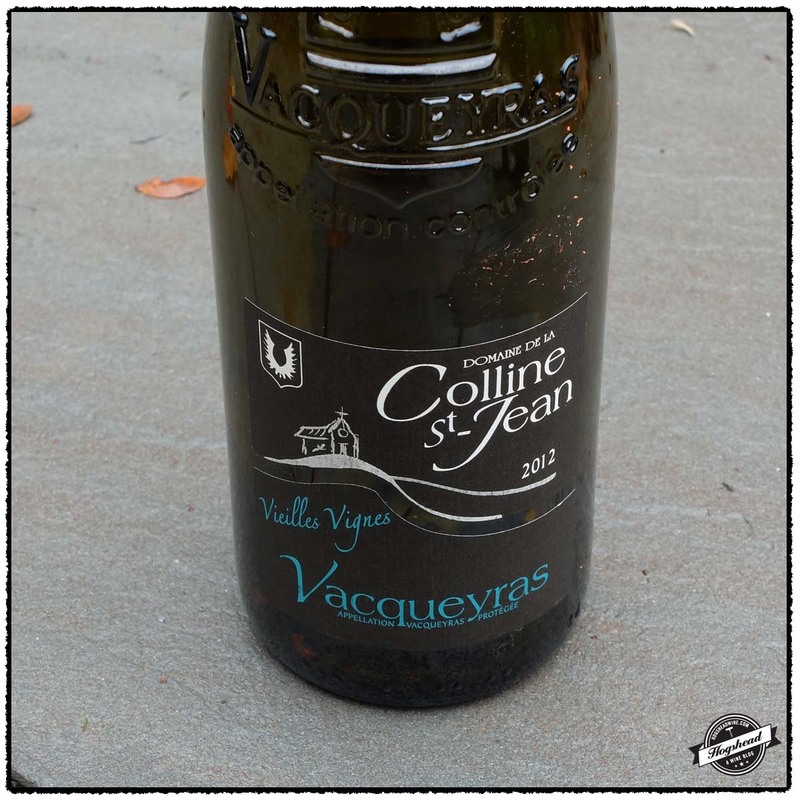 I’ll admit my preference for old-school Vacqueyras but if you enjoy the modern-vein then definitely check out the 2012 Domaine de la Colline St-Jean, Vieilles Vignes, Vacqueyras. This wine will certainly improve with age and is best left in the cellar for the next several years. These wines are available at MacArthur Beverages. Imported by The Country Vintner. Alcohol 13.5%. The nose evokes cherry liquor with pure and light red fruit in the mouth. There is some weight to the flavors and an enveloping, fuzzy ripeness. Though it sports very, very fine and firm structure this wine is best on the first night when it exudes strawberries. With air it becomes leaner in flavor and more mineral. *** Now – 2018. Imported by Verity Wine Partners. This wine is mostly Carignan that was fermented with indigenous yeasts in oak tanks then aged for 18 months in oak vats. Alcohol 14.5%. The nose matched the flavors in the mouth with its somewhat dense, grapey, flavors of purple and black fruit. This is a fruity and acidity driven wine with minimal structure until the finish where some cinnamon spice comes out. The watering acidity wraps everything up. Quite elegant and well done. *** Now – 2018. Imported by Dionysos Imports. This wine is a blend of 80% Grenache, 10% Carignan, and 10% Syrah. Alcohol 14%. The fruity nose sported deep, berry aromas. In the mouth the flavors were clean, well balanced and integrated with fine drying yet slightly ripe tannins. The flavors of plums, raisins, and minerals turned blacker towards the finish. With air the wine developed more structure, blue fruit, spices, and a slight cream hint. **(*) Now – 2020. Imported by Kysela et Fils. This wine is a blend of 80% Grenache and 20% Syrah that was aged for 18 months in concrete tanks. Alcohol 15.5%. The wine was rich and dark with raisin accented fruit. In the mouth were ripe purple flavors in this youthful wine. The fruit was enlivened by watering acidity that matched the grapey nature. This modern wine turned brighter with air. Though it has power and ample tannic structure, it is a balanced wine with attractive minerality. Will certainly improve with age. **(*) Now -2025+. I apologize for the long silence. I was caught down in the rabbit hole of research only to end up with a cold. The Chateau d’Oupia, Les Heretiques has graced our tables as a house wine many times in the past. 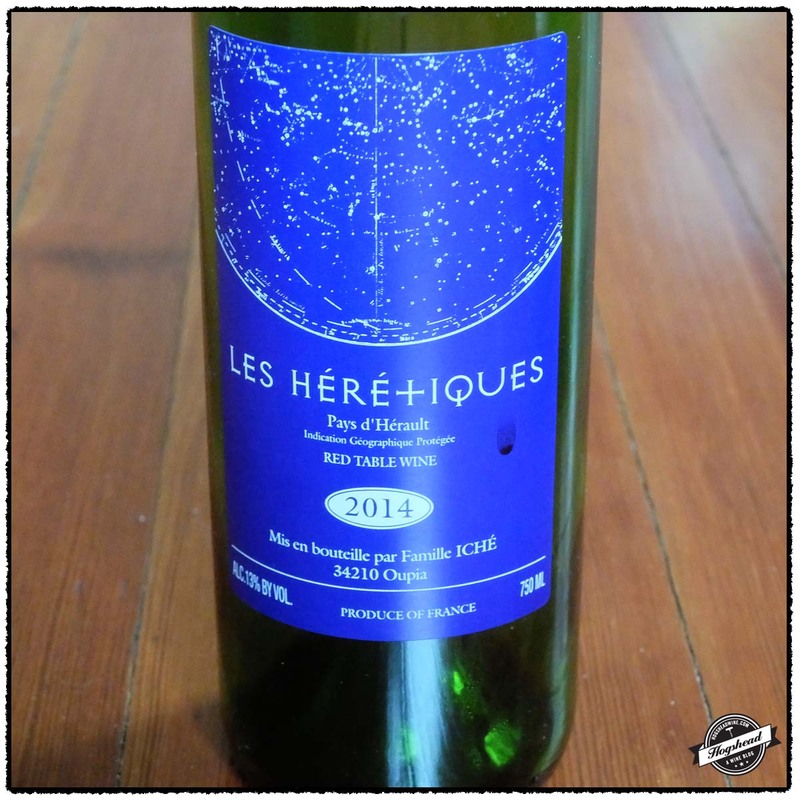 The 2014 Chateau d’Oupia, Les Heretiques, VdP d’Herault is the latest vintage which continues to be released at a very low price. I found it a little soft for my preference but have no fear for only $12 you may purchase the rather good 2013 Chateau d’Oupia, Minervois. This wine blends vibrant acidity with black fruit, minerals, and even racy hints. It will drink well for the next couple of years so you can stock up. These wines are available at MacArthur Beverages. Imported by Louis/Dressner. This wine is made from 100% Carignan sourced from 40+ year old vines. Half the fruit was fermented in barrel and the other half by carbonic maceration. Alcohol 13%. There was a soft entry with tart fruit before a lower-acidity profile of mulberry and red fruit became noticeable on the tongue. It did have a bit of a dry-cola grip and some liveliness. This might last a bit but really is a daily wine for now. ** Now. Imported by Louis/Dressner. This wine is a blend of 50% Carignan, 40% Syrah, and 10% Grenache sourced from 50+ year old vines. Alcohol 13.5%. This wine started with a bit of vibrant acidity driving the increasingly black and mineral flavors. There was some midpalate relaxation as the wine took on weight. With air it showed good focus and even became a touch racy. *** Now – 2017.